As History suggests, Helena the daughter of Greek general Selecus Nicator was the second wife of Chandragupta Maurya . Durdhara was the first wife and mother of Bindusara. As we all know Chandragupta Maurya’s life starting from his birth to Death is full of controversies,and same goes with the Story of Chandragupta Maurya and Helena. Were Durdhara and Helena the same ? According to some Durdhara and Helena were the same person. But most people belive that after death of his first wife Durdhara, Chandragupta Maurya married in his 40s to Helena the daughter of Greek general Selecus Nicator. Chandragupta while riding through the rivulet Jhelum had secretly seen Helen playing with her hand maidens. Mesmerized with the rare Greek beauty and her charm, Chandra Gupta fell in love with her almost instantly.At that time Chandragupta was said to be in his 40s.Helena must be in her 20s . It is also said that Chandragupta was so much in love with her first wife Durdhara, that he did not marry for a very long time after her death. So, smitten by rare greek beauty of Helena, Chandragupta wanted to marry her, and story is that they both use to exchange messages with each other. Chandragupta Maurya and Helena:was it love or simply a Political Alliance? It was during 305 BC when Seleucus’s army met with Chandra Gupta Maurya’s in a battle where Seleucus was defeated. As per Chankaya’s advice, Chandra Gupta Maurya then invited Seleucus for a meeting and then proposal for alliance of Helena and Chandragupta was kept. As their alliance happened after a war treaty, so mostly it is written that ‘the marriage’ was a political alliance between the two states, but a few back the view that they were already in love . 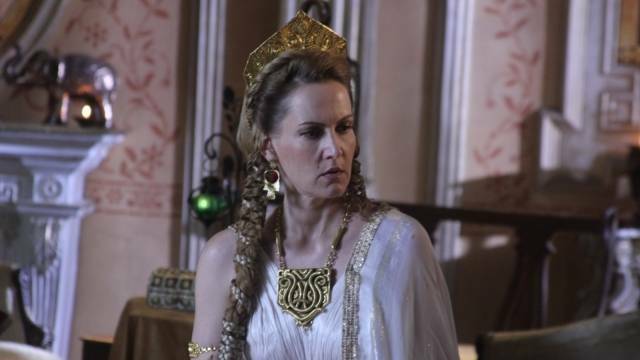 Did Helena, the daughter of Greek king Seleucus, have a son after her marriage with King Chandragupta Maurya? Yes, according to a record inscripted by greek linguist and philosopher Megasthanes, it is mentioned that Queen Helena had a son named Justin.But, there is no mention of the fact of his death and the circumstances thereby. Pan Bahar New brand ambassador – Can you guess?